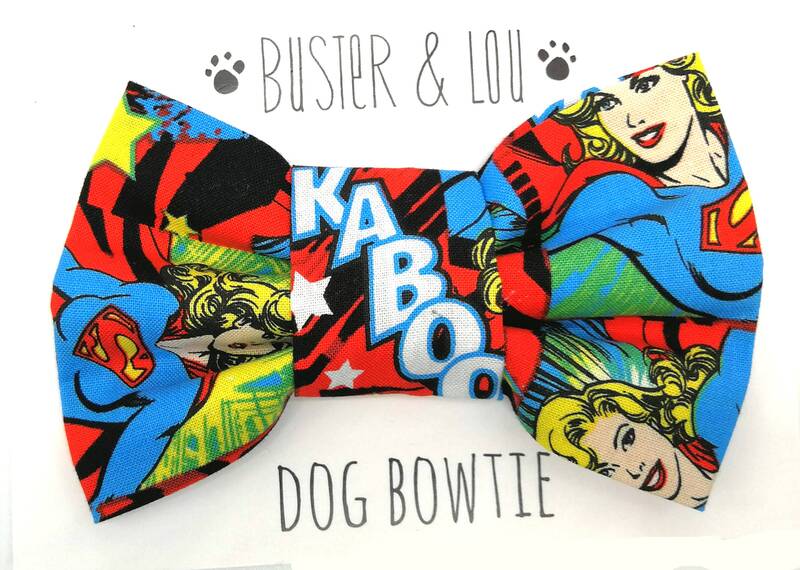 This superhero Supergirl slide on dog bow tie is a definite for the fashionable dog in your life. Simply slide on your your existing collar. 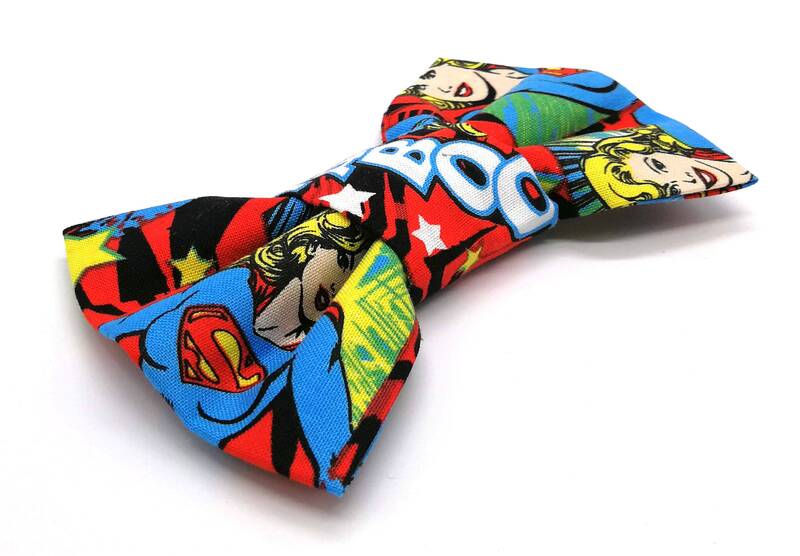 This is great for any DC Comic fan.